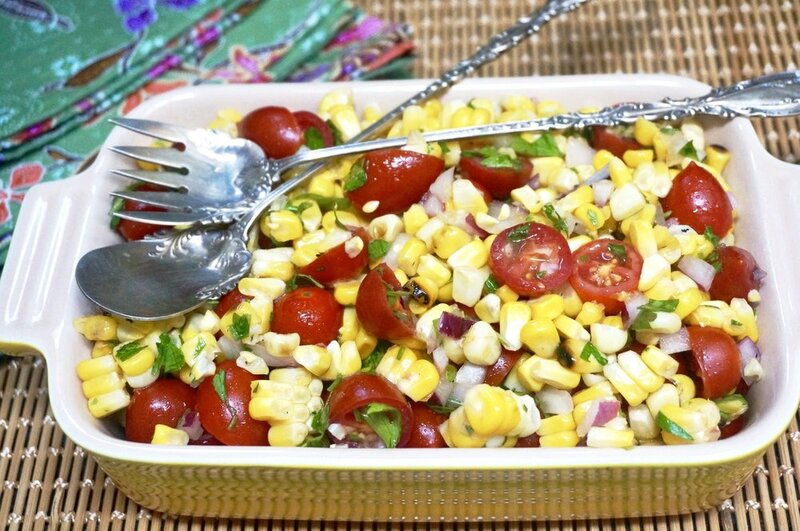 Place the corn kernels, tomatoes, red onion, parsley, thyme and chili pepper, if used, in a bowl and toss the ingredients to distribute them evenly. Pour in the olive oil and toss the ingredients to coat them with the oil. Pour in the wine vinegar and toss. Sprinkle with salt and pepper, toss and let stand for about 15 minutes before serving. Baked Beans. Real American Food for the 4th. I was thinking about which "real American" foods to serve on July 4th. Not just the usual icons: burgers, apple pie, lemonade. I wanted something that represented the "mongrels" that we are: Americans may be tribal in some ways, but we are also an odd mix-and-blend of a zillion cultures. And so is American food. For example, some say that Baked Beans are originally from France -- some sort of easy version of cassoulet. But the countries where they eat baked beans the most are English speaking: England, Ireland, Canada and Australia. And yet ... baked beans are also a favorite in Holland and Hong Kong. And of course beans themselves are native to South America, so who knows? The original Puritan colonists in New England made baked beans often and for the same reason as observant Jews make cholent -- the dish cooks slowly in a pot so there's no work to be done during the Sabbath. Baked beans have been popular ever since, and particularly so after the canned versions first came along at the turn of the 20th century. Green labelled Heinz Vegetarian baked beans were a standard item at my house when I was a kid. So, baked beans it is. I like making my own because when they're homemade I can season the beans the way I like, make them spicy or not, use more or less sugar (or sugar substitutes such as honey or maple syrup), make them vegetarian or with meat. I recently had a couple of slices of flanken left over, so I decided to use them in a new recipe. My husband usually likes my cooking and there are some dishes he thinks are so good he brags to people about them. Like my recipe for Carrot Soup with Harissa and Coconut. These beans? He told me several times that they are among the best foods he has ever tasted. In fact, one night he only had baked beans (and a few of the chunks of flanken in them) for dinner. So, this recipe is a yes for July 4th. Baked beans take time. But you can make them several days ahead. They last for a week in the fridge. If you don't have flanken you can use chuck, smoked turkey or some kind of sausage. Place the beans in a large saucepan and cover them with water. Bring the water to a boil over high heat. Lower the heat and cook for 2 minutes. Remove the pan from the heat and let the beans soak for one hour. Drain the beans and return them to the pot. Cover the beans again with water and bring to a boil over high heat. Lower the heat and simmer for 45 minutes. (Alternatively, cover the beans with water and let them soak for at least 8 hours.) Drain the beans and place them in an oven-proof casserole. While the beans are cooking, heat the vegetable oil in a sauté pan over medium heat. Add the meat and cook for 5-6 minutes, turning the pieces occasionally, until they are browned. Remove the meat from the pan and add to the beans. Add the onion to the pan and cook for 2-3 minutes to soften. Add to the drained beans and meat. Place the brown sugar, honey, ketchup, salt and mustard in a bowl and mix thoroughly to blend the ingredients. Stir in 2-1/2 cups water. Pour the mixture over the beans and meat. 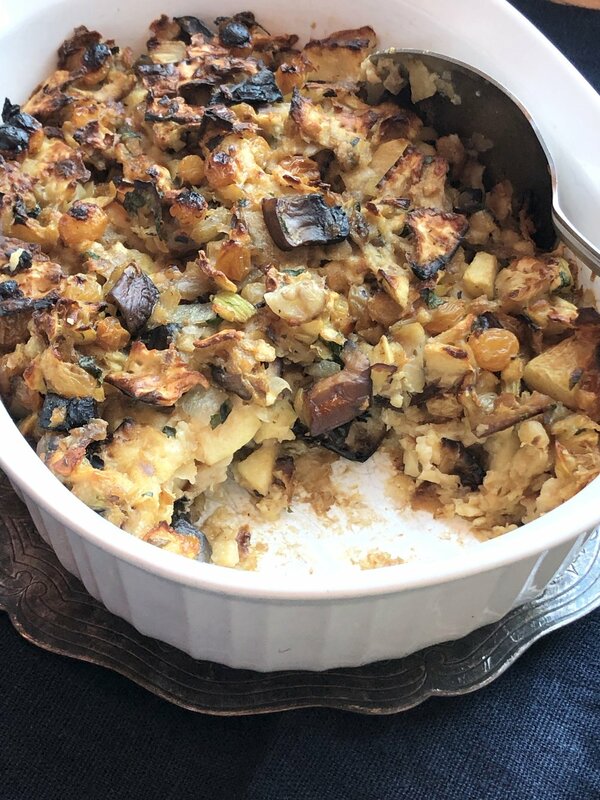 Cover the casserole and put it in the oven. Set the temperature at 300 degrees and cook the beans at least 5 hours, or until they are tender. On the first day of summer, what could be more refreshing than a good salad? 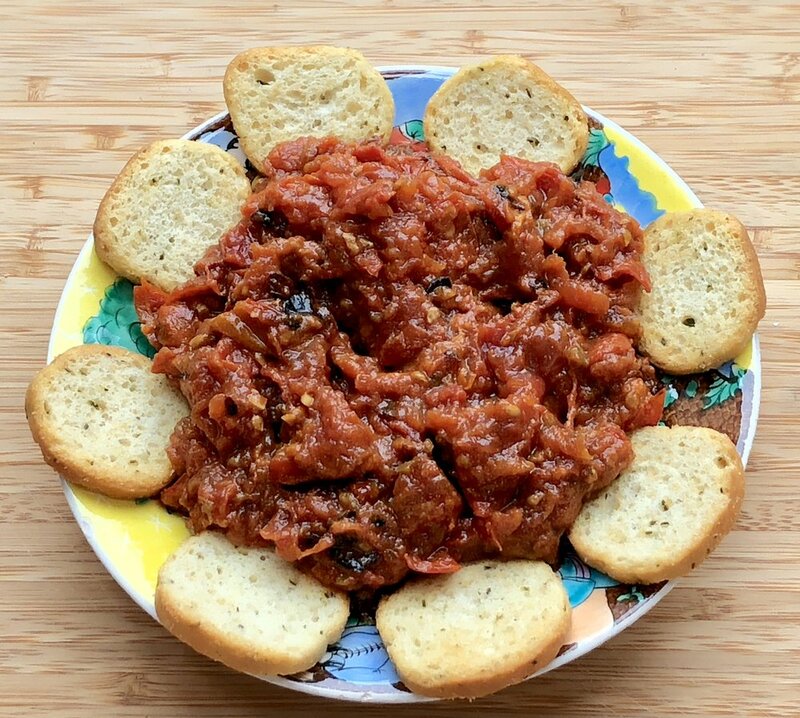 This one is a good fit with grilled meat, chicken or fish but if you're doing a meatless meal add some crumbled blue, feta or goat cheese. Or hard cooked eggs. Or tofu. I used La Tourangelle* avocado oil for this -- it is rich, with a fabulous mouth-feel and is a really delicious vegetable oil for salad. But olive oil would be fine too. *I did not get paid for this or receive free product. I just love La Tourangelle products. Place the arugula, radicchio, grapes, dates and avocado in a salad bowl and toss the ingredients to distribute them evenly. Pour the avocado oil over the salad and toss to coat them. Pour the balsamic vinegar over the salad and toss again. Let stand about 5 minutes before serving. Among the delicious foods I feasted on on our recent trip to Eastern Europe were these: white asparagus, which is in season NOW. In the U.S. too. I found these beautiful spears at Fairway and prepared them exactly as I had them for dinner one night in Vienna. Ok, ok, I had a few rolls with a lot of butter too. And strudel with schlag for dessert. 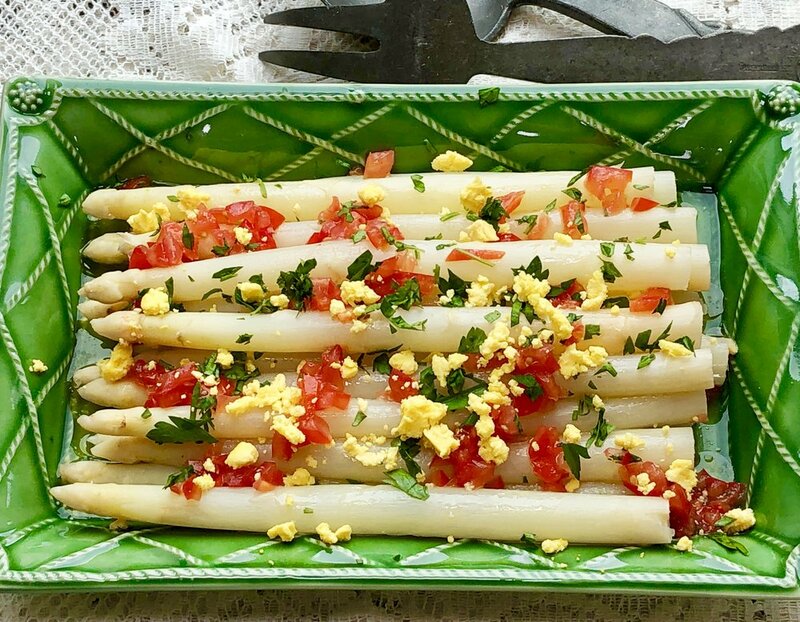 If you've never tasted white asparagus, you are in for a treat. They are milder and sweeter than the green ones and take a few minutes longer to cook because they are usually thicker. But, if you can't find these, use regular green asparagus (adjust cooking time depending on thickness of the spears). Remove the fibrous bottoms of each asparagus spear. Poach the asparagus in lightly salted water for 8-10 minutes, depending on thickness, or until tender. Drain under cold water and set aside in a serving dish. Whisk the olive oil and wine vinegar together until well blended. Add the tomato and egg yolk, stir and pour over the asparagus. Toss to coat every spear. Sprinkle with parsley, salt and pepper. Let rest for at least 15 minutes before serving.